Gloria Perez is a dedicated professional who provides her clients an amazing experience which you can read about in her Zillow.com reviews. her superior marketing skills. This ability to help sellers and buyers, coupled with Perez' financial-services background, represents a powerful combination. Because of her extensive experience in financial services, Perez can quickly analyze clients financial outlooks and assist them in taking the appropriate steps toward home ownership.Owning a home is such a large part of the financial piece,said Perez, who focuses her efforts in Essex County.It increases a persons net worth if they buy a home. As a Realtor, I can help clients with their financial situations so they can achieve the ultimate goal of home ownership. Any consumer who has the opportunity to work with Gloria is fortunate. 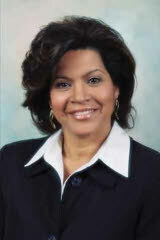 Perez builds her client base through referrals and opportunities from everyday life. There is always someone who knows someone who is looking to upgrade, downsize or otherwise change their home ownership situation, she said. "I help sellers properly price their homes and prepare them for the market. Then we use sales tools such as e-mail,Web sites and postcards to let agents and potential buyers know the home is available for sale." This approach ensures the owner/seller achieves top dollar results. Please contact Gloria today at (973) 960-9640.